Kids, youth, householders or ascetics, everyone’s a fan of Shiva. So just what makes Shiva so cool? Here’s 5 reasons. 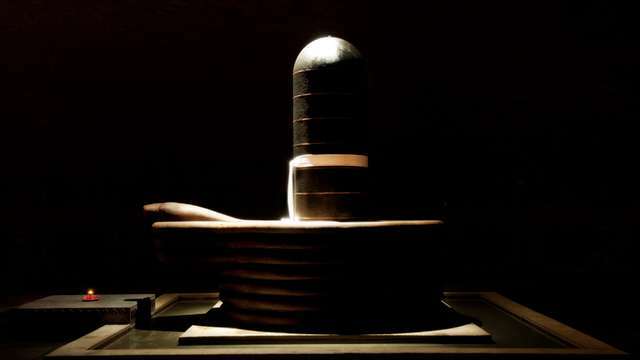 Sadhguru: It is not just gods who worship Shiva. Demons, goblins and all kinds of creatures worship him. Ghosts, ghouls, goblins, devils, demons – all those beings rejected by everyone – Shiva accepted them. When his marriage happened, the tradition goes about describing that everybody who was anybody, everybody who was somebody, everybody who was nobody – they all attended. All the gods and divine beings, all the asuras, demons, demented beings, devils and ghosts – everyone came. Usually, these people don’t get along with each other. But in Shiva’s wedding, everyone was there. Because he was “Pashupathi”, the Lord of animal nature, all the animals came. And of course, the snakes wouldn’t miss it, so they all came. The birds and insects didn’t want to miss it, so they were guests too. Every living creature came to this wedding. What the story is trying to say is, when we talk of this being, we are not talking of a genteel, civilized man but of a primal figure, in a state of absolute oneness with life. He is pure consciousness, completely without pretention, never repetitive, always spontaneous, forever inventive, ceaselessly creative. He is simply life itself. Sadhguru: Generally, Shiva is the symbolism of ultimate masculinity, but you will see in the Ardhanarishvara form of Shiva, one half of him is a fully developed woman. Let me tell you the story of what happened. Shiva was in an ecstatic condition and because of that, Parvati was drawn to him. After Parvati did many things to woo him and sought all kinds of help, they got married. Once they were married, naturally, Shiva wanted to share whatever was his experience. Parvati said, “This state that you are in within yourself, I want to experience it too. What should I do? Tell me. I am willing to do any kind of austerity.” Shiva smiled and said, “There is no need for you to do any great austerity. You just come and sit on my lap.” Parvati came and with absolutely no resistance towards him, sat on his left lap. Since she was so willing, since she had placed herself totally in his hands, he just pulled her in and she became half of him. You need to understand, if he has to accommodate her in his own body, he has to shed half of himself. So he shed half of himself and included her. 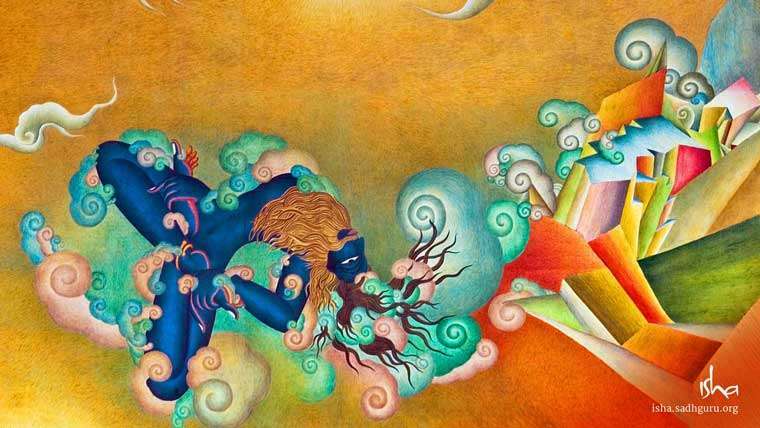 This is the story of Ardhanarishvara. This is basically trying to manifest that the masculine and the feminine are equally divided within yourself. And when he included her, he became ecstatic. What is being said is that if the inner masculine and feminine meet, you are in a perpetual state of ecstasy. If you try to do it on the outside, it never lasts, and all the troubles that come with that are an ongoing drama! #3 He “destroys” the dance floor! Sadhguru: Natesha or Nataraja – Shiva as the Lord of Dance – is one of the most significant forms of Shiva. When I visited CERN in Switzerland – where all the atom-smashing takes place – I saw that there is a Nataraja statue in front of the entrance, because they identified that there is nothing in human culture which is closer to what they are doing right now. It represents the exuberance of creation, the dance of creation which self-created itself from the eternal stillness. 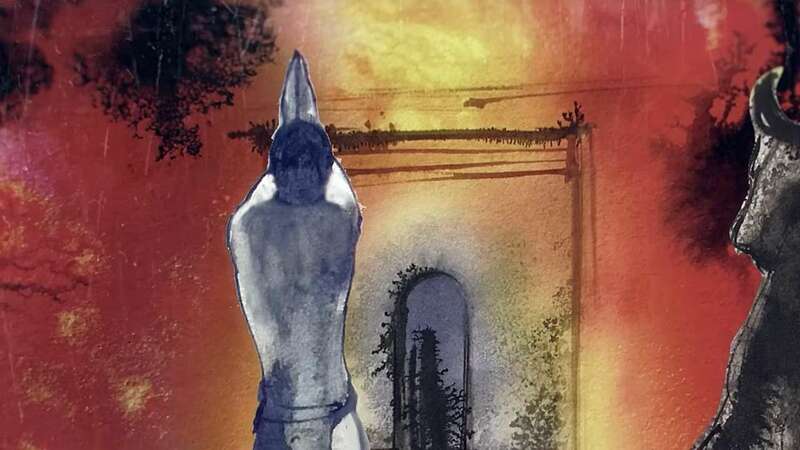 Sadhguru: Shiva is constantly represented as a drunkard and an ascetic at the same time. He is a yogi – if he sits in meditation he won’t move. At the same time, he is always drunk and inebriated. This doesn’t mean he was going to the local bar! The science of yoga gives this possibility that you can remain calm and still be in an extreme sense of pleasure all the time. Yogis are not against pleasure. They are just unwilling to settle for little pleasures. They are greedy. They know if you drink a glass of wine, it just gets you a little buzzy and then tomorrow morning you get a headache and everything. You can enjoy intoxication only if you can be totally drunk but hundred percent stable and alert. And nature has given you this possibility. So all you have to do is produce a little bit of Anandamide because there is a whole marijuana garden inside! If you cultivate it properly and keep it on, you can be stoned all the time. Sadhguru: When you say “Shiva,” it is not about religion. Today, the world is divided in terms of which religion you belong to. Because of this, if you utter something, it looks like you belong to some religion. This is not religion, this is the science of inner evolution. This is about transcendence and liberation: it does not matter what your genetics are, who your father was, or what limitations you are born with or acquired, you can transcend all of that if you are willing to strive. Nature has set some laws for human beings – they have to be within that. Breaking the laws of physical nature is spiritual process. In this sense, we are outlaws, and Shiva is the ultimate outlaw. So you cannot worship Shiva, but you may join the Gang.